Welcome to the world of the Mayas and Aztecs. 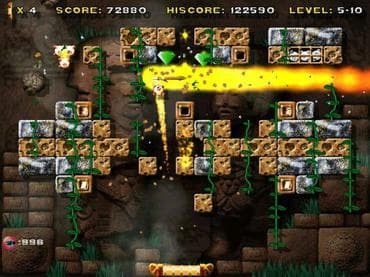 Break bricks in this ancient time as you try to pass more than 100 levels. Flying skulls and red-hot stones are among the challenges you will face, but there will be helpers there to aid you, too. Download free full version game and be careful in Aztec Bricks! Free Game Features: - Family friendly arcade game; - Amazing graphics and relaxing soundtrack; - Unique twist to the breakout genre games; - Unique power-ups; - Save / Load game option; - Game statistics; - Free full version game without any limitations. If you have questions about Aztec Bricks game, please contact us using this form.